The Belfast Soup Kitchen does more than serve a hot nutritious meal five days a week. We are more than a soup kitchen. We are a community. Every weekday morning we hold our “coffee club“. This provides a congenial atmosphere where our guests can socialize and enjoy a good cup of coffee and fine pastries and breads, in addition to fruits and vegetables. 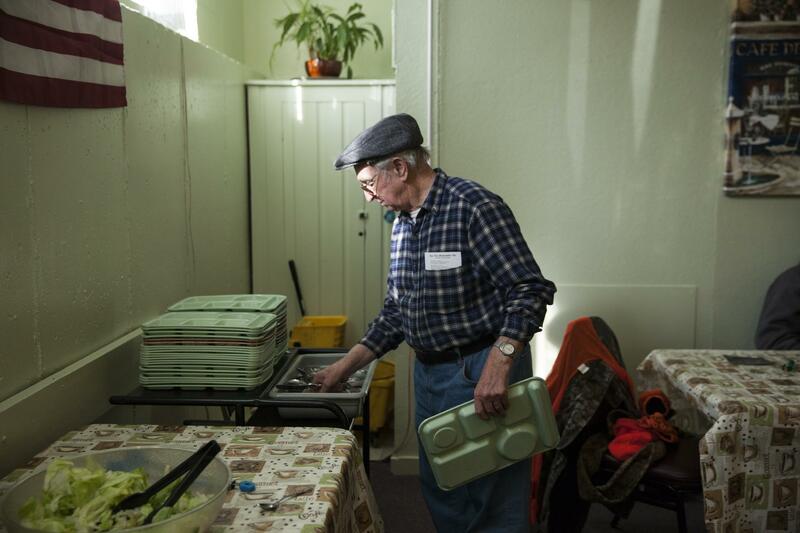 The Belfast Soup Kitchen is different than many soup kitchens in the U.S. It is more like a bistro than anything else, specifically created to minimize stigmatization. The organization supplies their guests with daily produce, fruit and pastries to take home. We provide emergency groceries to individuals as referred by local city agencies. We are on-call 24/7 to provide this emergency service which is coordinated with the Belfast Police Department, Waldo County Sheriff’s Department and City Hall. We help other organizations, such as The Game Loft, a local after-school teen program by providing extra food two days a week. We provide opportunities for community service for participants in the Waldo County Re-Entry Program. Our staff also works with area behavioral health professionals to assist appropriate guests in learning about volunteering, job skills and community inclusion. A Public Health Nurse from Waldo County General Hospital offers blood pressure and cholesterol screening, Flu Shots during flu season and Diabetic Counseling, as needed. We also provide literacy volunteers as needed for our guests to help with reading issues and to lead the way toward a GED. Every year, a group of our wonderful volunteers also come together to serve a Thanksgiving and Christmas dinner to our guests. Of course, these services wouldn’t be possible without our kitchen managers and a host of community volunteers. All these services are entirely supported by generous donations from area businesses, individuals and various state and regional grant resources. We’re always looking for more volunteers. Visit our “Volunteer” tab and contact Kathy Ferland at BelfastSoupKitchen1@yahoo.com for more info. Thanks!